Something which has concerned me for a number of years now is the role many former professionals and coaches believe the referee should play. When we hear of coaches asking for the referee to “let the game flow”, or that the referee “ruined the game as a spectacle”, I believe we are in very difficult and dangerous territory. This attitude has crept into many sports, and I believe it is detrimental to each sport. Just yesterday I watched the England v New Zealand rugby league test on BBC. Jon Wilkin and Jamie Peacock at half-time both criticised the match referee for awarding 9 penalties in the first half for offences by both sides at slowing down the play of the ball. Both sides had clearly set out to slow the tempo of the opposition’s attack by being slow at ruck time. The half-time scoreline of 2-2 (one penalty each) was testiment to the intent of both sides to prevent tries and preventing the opponent to build attacks where their defence wouldn’t have time to be organised. Wilkin and Peacock made the point that the game as a spectacle was badly damaged by the referees decisions to award penalties. This sentiment can be heard all the time in gaelic football and hurling particularly, where a game full of fouling and negative tactics is generally blamed on the referee in question. One could say that the job of a referee is to enforce the rules of the game and to impose sanctions on individuals who breach these rules. I think that would be a fair definition of a referee in any of the sports I’ve named. The rules of the game are key. I would sincerely doubt if the rulebooks for any of the sports from rugby to soccer to GAA state anywhere that a responsibility of a referee is to ensure that the game is entertaining to those who watch it, that there are lots of scores or lots of nice passes. The purpose of the referee in a sport is to know the rules, enforce those rules by giving frees (or cards) when appropriate, and to be neutral in applying those rules. A key point is that the referee should be neutral and enforce the rules, rather than being even. Even is not neutral or fair- you see this regularly where a team has a man sent off and the referee stops giving frees against them, or conversely where something happens and the referee tries to “even things up”. If we could have referees enforce the rules properly, everyone would know where they stand. Players would not be frustrated at having a decision go against them. We would not have conversations every Saturday and Sunday about consistency. Giving the free to one guy and not the other for the same offence. These things drive people mad. The game as a spectacle is the responsibility of the players and management of each team, not the responsibility of the referee. The players are the ones on the field who commit fouls. They are the ones who push the referee, seeing where he will draw a line. They will pull jerseys, push opponents, slow the ball down, neglect to retreat the required distance from free-kick, start rows and tactically foul where it is difficult to score from. It is the responsibility of a referee to punish all of these things when they happen without any pressure on them not to. If these fouls were punished each and every time they happen, and the appropriate sanctions taken for those who persist, teams would see very quickly that they would not be able to win through negative tactics as they’d be conceding scores and playing with fewer players on their team. When we see what we consider to be a “good referee”, it is easy to tell who he is. Not because he created a spectacle, but because he got his decisions correct almost all of the time. Guys like soccer’s Pierluigi Collina or rugby’s Andre Watson got the calls right, and didn’t bottle making difficult decisions or punishing serial offenders. 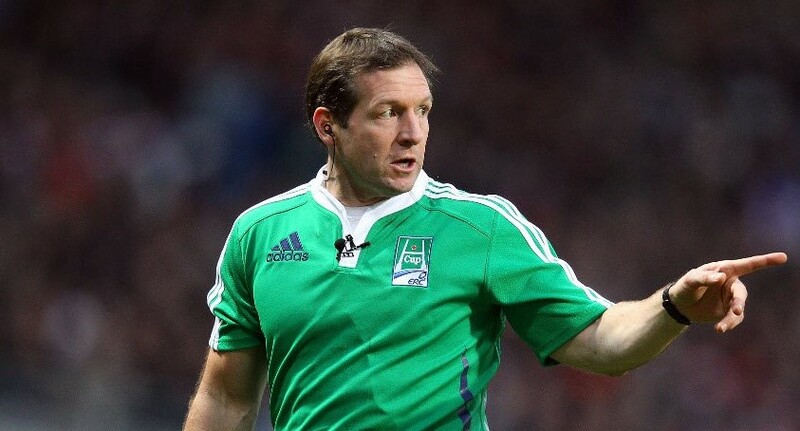 Alain Rolland, Nigel Owens, Dickie Murphy, John Bannon and Pat McAneaney were also guys who just played the rules and let the game sort itself out. The pressure levels on a referee at any level are huge. I don’t think many go out to favour one team and in general referees are neutral. But they are hampered or confused in many situations by issues which should be external to their performance. Deciding not to give a free or penalty because of it’s impact on the scoreboard, because you penalised that team 10 times already, because there have been 20 frees in ten minutes, because that player said or did something previously in the game make for a bad game. Good referees are the ones who ignore those things and give the decisions anyway. The game in general, we as supporters, coaches and players, and the respective organisations can help referees to do great jobs by taking the pressure off them to do anything other than blow the whistle when the rules say you should.